PokerStars Blog brings you all the latest news from around the poker world, including results and analysis from the biggest and most prestigious poker tournaments around the globe. We’re also the first to bring you game-changing announcements, exclusive interviews with the biggest stars in the game and daily updates from the world’s largest poker site, PokerStars. 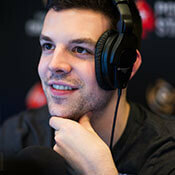 Don’t miss a winning moment with PokerStars Blog.